I found the contrast between the warm glow coming through the curtains and the long, virtually undisturbed decay very striking at this location. 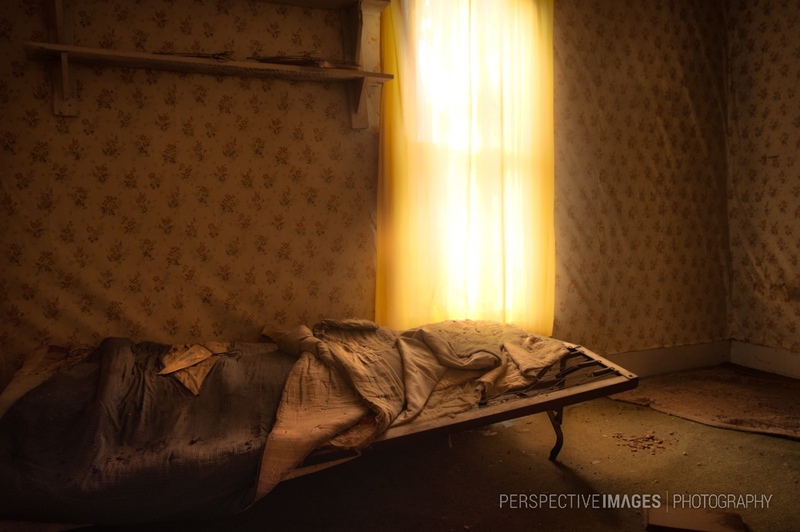 Hangers and bedding, remnants of the last day of the buildings occupation lay where their owner left them. Looks like my place after my divorce became final. makes you wonder what happened there… maybe a nuclear incident and they had to clear out fast? 🙂 i love the lighting! That is eerie. I’m half-expecting something to stir. Great use of the available natural(?) light. I love exploring abandoned places, but they always make me feel a tiny bit sad.. I agree, there certainly is an element of sadness to abandoned places but on the flip side they are a good reminder of what we have.